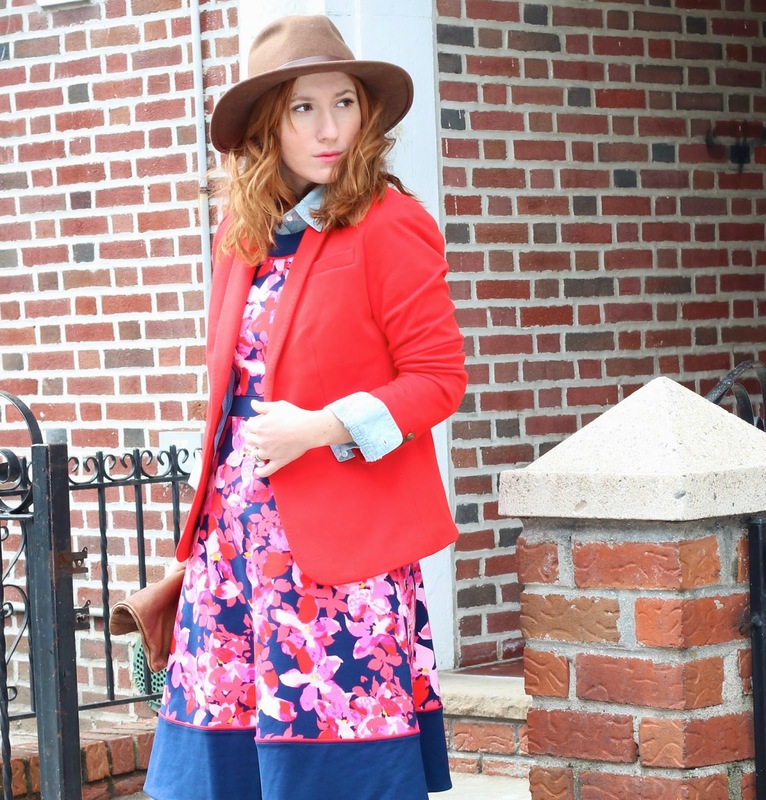 Floral Americana + New Fashion Linkup! I'm excited to announce that I'll be teaming up with these incredible three women each Wednesday to share our style and to invite you to share your own in the Linkup below. This week we've collaborated with Lands End to get a head start on our Spring Style because heaven knows we're more than ready at this point, especially myself and fellow New Yorkers, Audrey and Vera. Jenn is a little more on the lucky side of things, it's practically Spring almost all year around in California. Since things are still pretty chilly here I figured layering up was the best way to go with this Lands End dress, chambray shirt and blazer. I could have stopped there and threw on a pair of heels but I felt like it needed a bit of toughening up with the hat and boots, somehow it works. 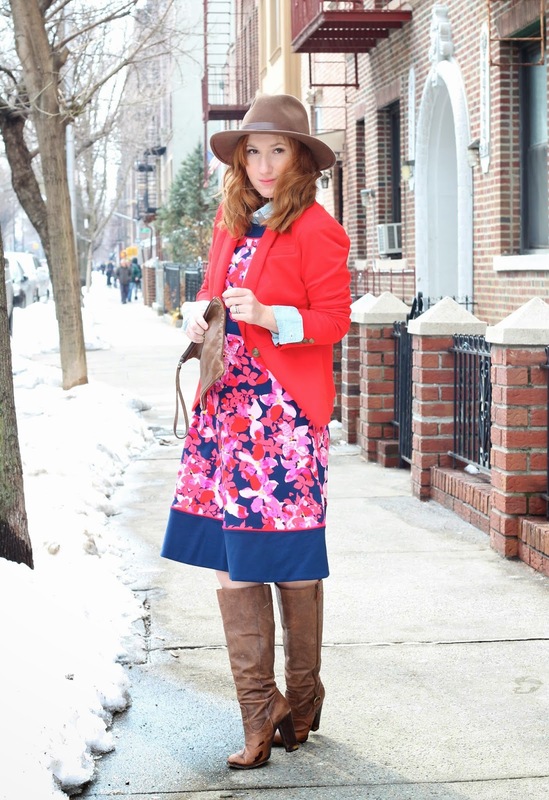 A little americana to go with your florals, anyone? Go check out how the other gals styled their pieces. 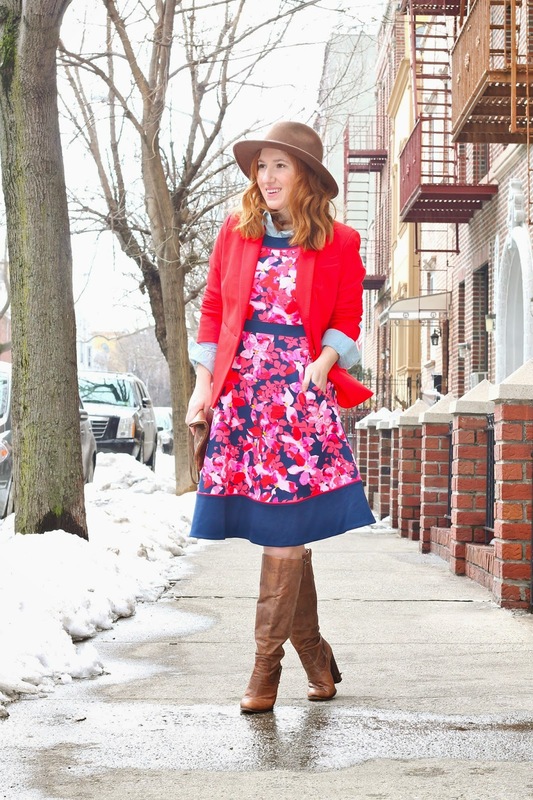 Don't forget to add your Fashion related post in the link up and share with your friends! SO SO SO cute! I need a lesson in layering...this is adorbs. So excited to be teaming up with you ladies for this fun new link-up!